It's one of the most anticipated developments right in the heart of downtown Franklin. Harpeth Square will have more than 18,000 square feet of retail space and 150 apartments. With it, comes a new boutique hotel. The Hilton Curio will have 119 guest rooms, with restaurants, and retail. This is something that's been lacking for years. 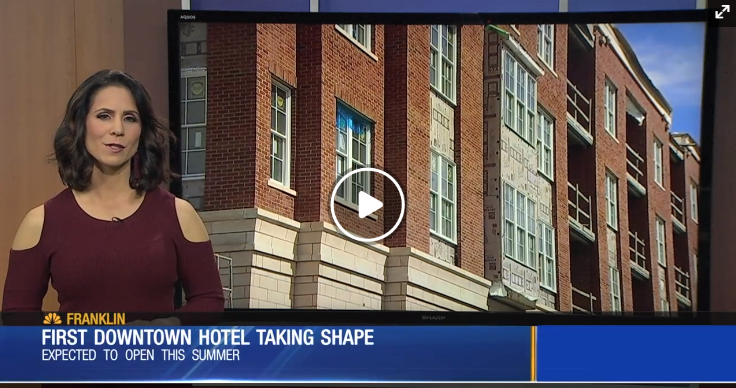 Franklin has never had a downtown hotel. This will mean more foot traffic and money spent in this community. Some more good news, this development will also bring nearly 600 parking spaces with a brand new parking garage. The hotel itself is expected to be open by the end of July, early August. It's going to have a spa -something else "new" to downtown Franklin.